These things are always hard for me write and, in fact, I never planned on a post race report regardless of the outcome. 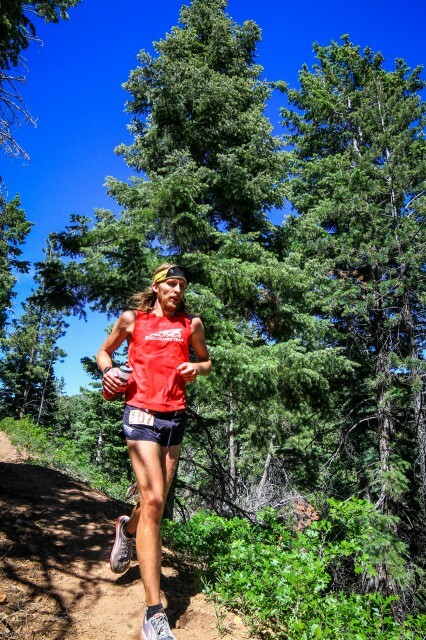 While I usually never shut up about running, I struggle with idea of talking about my own personal victories and balancing that line between humility and boastfulness. After many requests though, I guess I can concede. And the only way for me to approach this is to just shoot it straight. My pre race report pretty much describes exactly how my mind was as I toed the starting line. I wanted to go out and run my own race that day. I toed the starting line with wanting to move through the course in the most efficient way possible. I didn’t ask once where the other runners were. I never cared about where anyone else was compared to me. I worried solely about my own “race”. I vaguely remembered the elevation profile, enough to know about when the big climbs were coming. I knew what the aid station mileages were, not that it mattered too much because I didn’t carry any form of GPS. It’s hard enough to take care of myself through 100 miles so I decided to ignore the external factors as much as possible. I moved forward off of feel and prepared my drop bags with just the necessities. 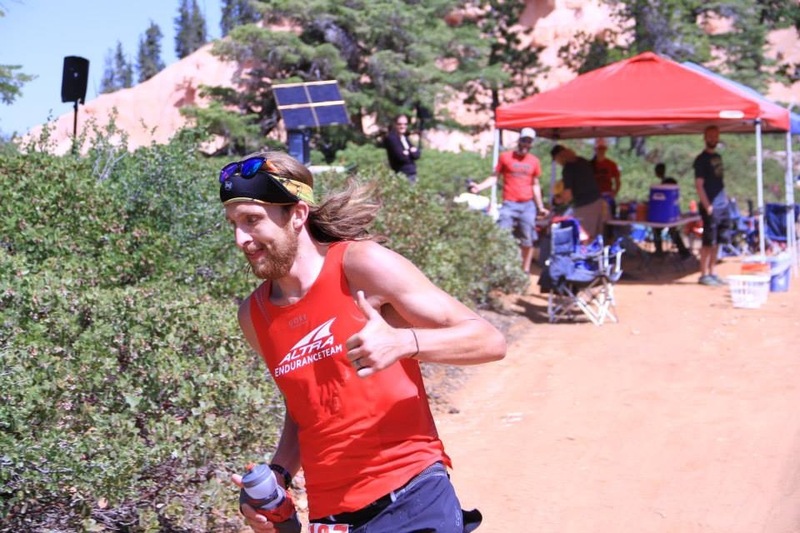 It’s funny how running 100 miles really shows one how few relative needs they really have, especially when aid stations are available every 10 miles or so. When the gun went off, I left in the lead and was able to maintain that position throughout the day. Again, I wasn’t conscious of where the chase pack was throughout the day but I did notice that there were about four 100 mile runners within 20 minutes of my turnaround. I went on as though they weren’t there and aside from a few minutes of excitement, I made sure it didn’t affect my efforts. The day went well. That’s not to say that it didn’t have its challenges. 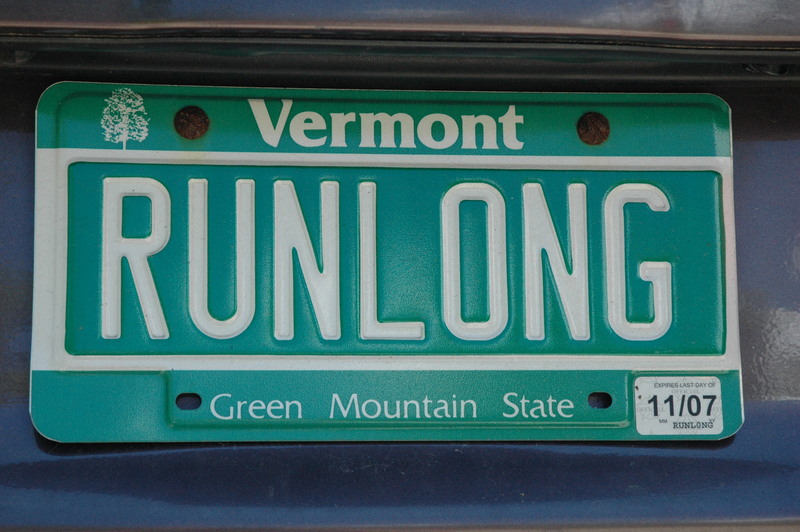 Suffice it to say that this race taught me two things. First, that I have the potential to run well and can surprise myself at these distances. My second lesson was that I still have a lot to learn. Having never cramped before in a race, I was shocked that by mile 30 I was cramping in both my quads and hamstrings. It wasn’t enough to stop me in my tracks, but it was definitely enough to keep me from getting into full speed on the ups and downs while the fear that it would lead to a total lock up lasted most of the day. Discouraging, to say the least. 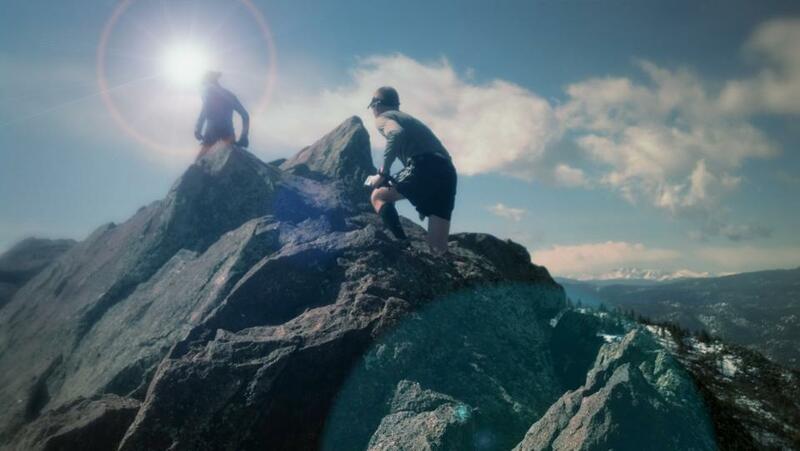 The elevation and intensity of the sun created a surprising amount of carnage given the mere 19k in vertical feet, 8.3k average elevation, and roughly 72 degrees that day gave us. The other misfortunes that I quite literally “ran” into were things that a little more diligence on my part could have taken care of. I missed 3 turns on the irony that I was taking a gel as the trail markers pointed me onward toward the turnaround. At one point, I realized I had been running for quite a while without a marker and turned myself around. A maroon sedan that passed me kicked up a giant dust cloud as it came to a grumbling halt just a few yards ahead of me. As the window rolled down, I was shocked to see that it was none other than Hal Koerner! He let me know the turn was just ahead and even stopped again, pointed out the turn and high-fived me on my way. So the last half of the day was really where I enjoyed most of the race. 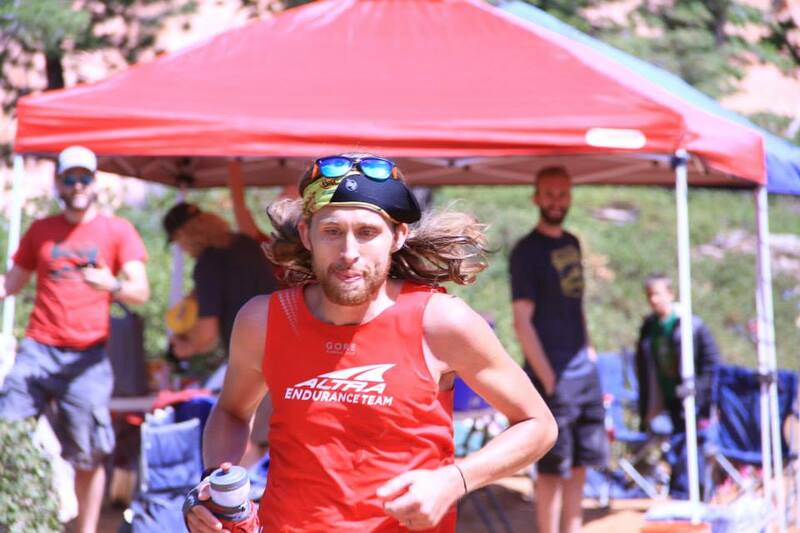 I’m about the most social runner you’ll see out on the trails. I kept the stopping and giving of encouraging hugs to a minimum, but I became so motivated and energized by the support and well wishes from other runners coming in. Really, it turned my whole day around. I am so appreciative for all the love and support that I got out there. 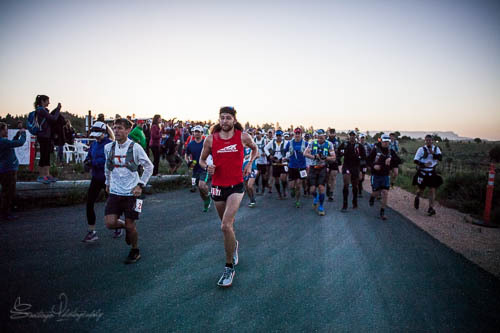 I couldn’t begin to describe the amount of energy that I received knowing that I was running towards friends and excited to see each aid station. 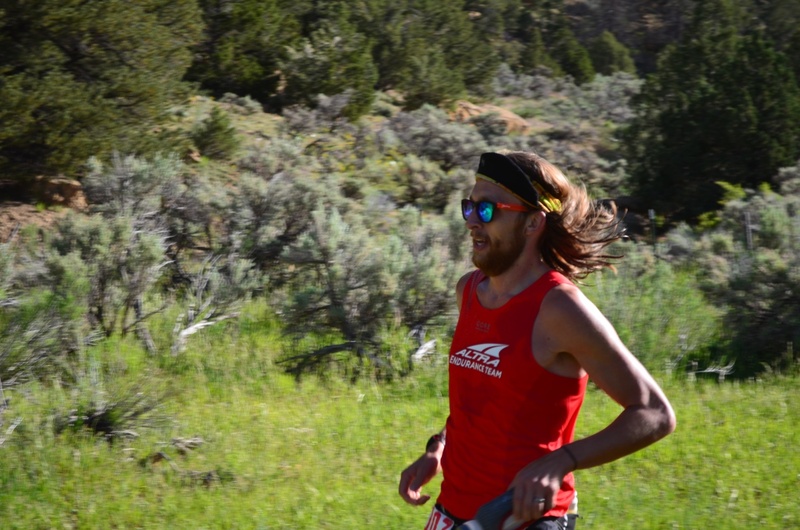 I was especially happy to see the Wasatch Mountain Wrangler crew that did such a fantastic job at Blubber Creek Aid at miles 27 and 73 respectively. 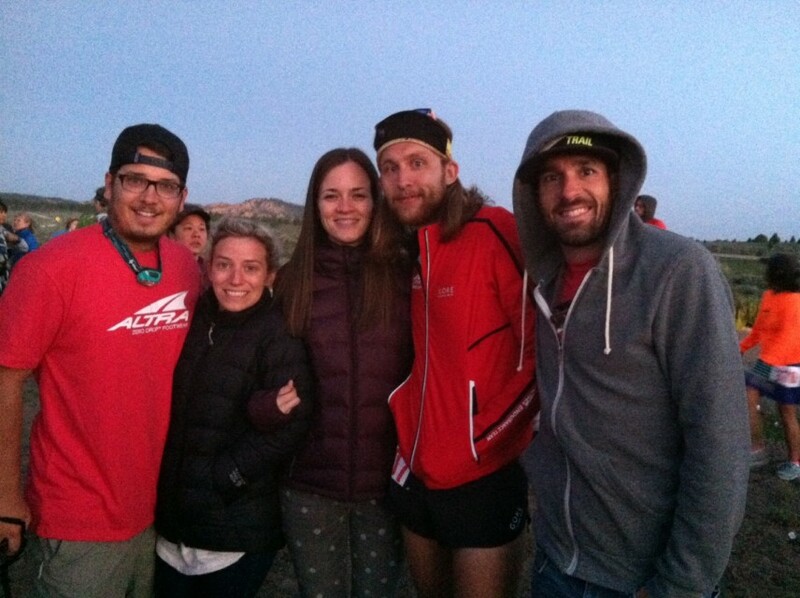 It was so amazing to run into an aid station and have everyone there so excited to see me. The love was truly felt and it energized me enough to want to push through the end. I was able to keep things together for quite a while longer than I anticipated after getting some of those feelings. It was very encouraging to know that I could take care of myself on trail as well as I did. I ended up grabbing my pacer at mile 60 instead of the planned 18 and was extremely excited to see Bob. We quickly got into to our usual jovial running mode and the miles started to click by. It wasn’t until I had 24 miles remaining that the wheels really started to come off. While charging a downhill toward Proctor AS, I knew it was time for a gel but I also feared what would happen if I took it. After some prodding and maybe a double-dog-dare from Bob, I finally just swallowed down a gel and took off. Six steps later it all came out and it would be the last gel attempt all night. I wasn’t able to keep much down other than a cup of broth and a nibbling on half a bean burrito over a couple miles. 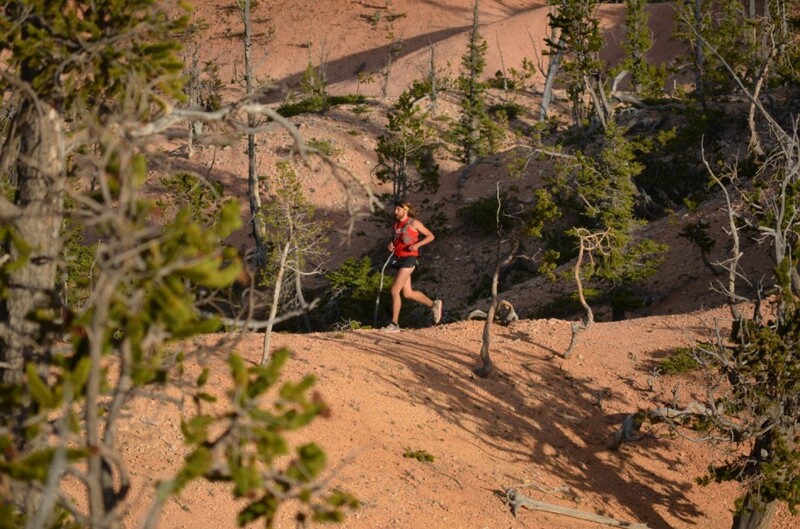 It wasn’t the overall elevation gains that made the course hard. It was the fact the 3k of it came in the last 10 miles and there wasn’t anything that left an opportunity to find a groove. I felt like I was in a dryer cycle on tumble and every time the door opened I was getting punched in the face. It never ended. The final mile was all smooth and flat. 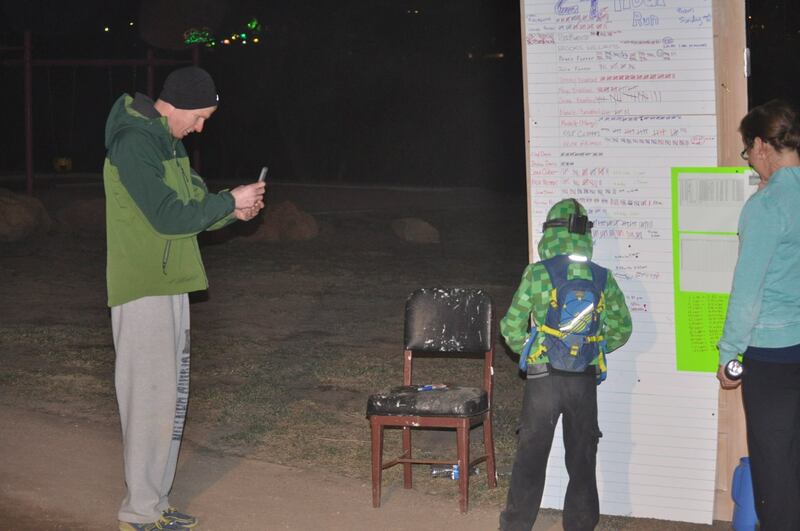 I was excited to see the fire at the finish line and just ran to it with everything I had left… which wasn’t much. When I crossed the line, I knew it was the fastest that I could have run that day. I was happy that it was good enough to land me in the front and keep me there. I have a few things to learn still but this really gave me the confidence that I have the ability to run hard and surprise myself. Really, I love to run for those who support me and push me to the finish. This race was special in that I was able to see and hear from many of my friends while out on the course. It encourages me and gives me the motivation to push harder and finish for them. I’m ever grateful for those who support me and carry me to the finish. 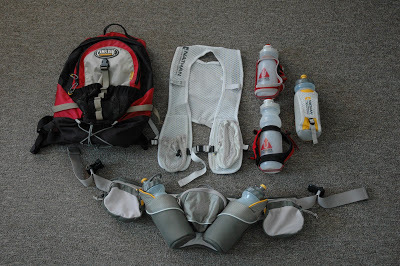 I appreciate my sponsors and am proud to support them for amazing companies that they are… OGIO bags, Gore Apparel, Kameleonz Sunglasses, Petzl headlamps, UltraSpire Hydration and of course Altra Footwear. Best crew ever… I couldn’t do it without them.